Time for a much needed break after testing? Need to find a way to let off some steam with STEM? 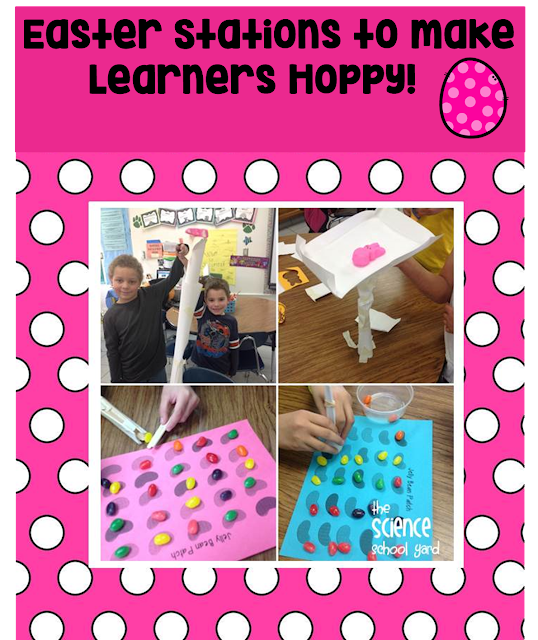 This is a perfect time to add some Easter STEM stations to your day. All you need is 30 minutes set aside for building, creating, teamwork and some "HOPPY" students! 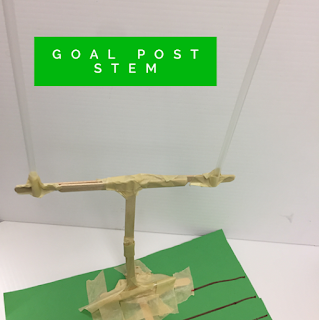 These are some of my favorite quick STEM activities! 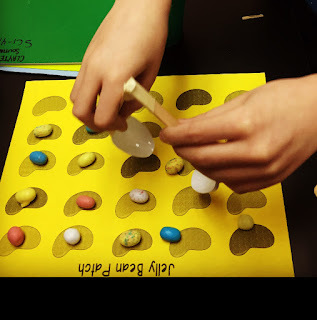 The kids love to create a way to pick up jelly beans and with a little competition it certainly is "egg"citing! Love to add a bit of candy fun for everyone...I love having the kids make peep towers, too! Another quick way to add a bit of area and perimeter into your lesson is to build baskets! I love watching them try to fit as many eggs in their basket so that they can walk the eggs down the bunny trail! 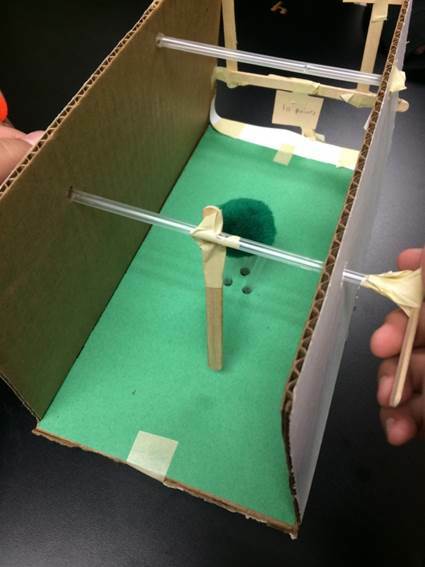 In intermediate classrooms, students love to make something to protect their eggs as they build an egg drop! Perfect for integrating science concepts such as physics with laws of motion, fluid science, and properties of matter. 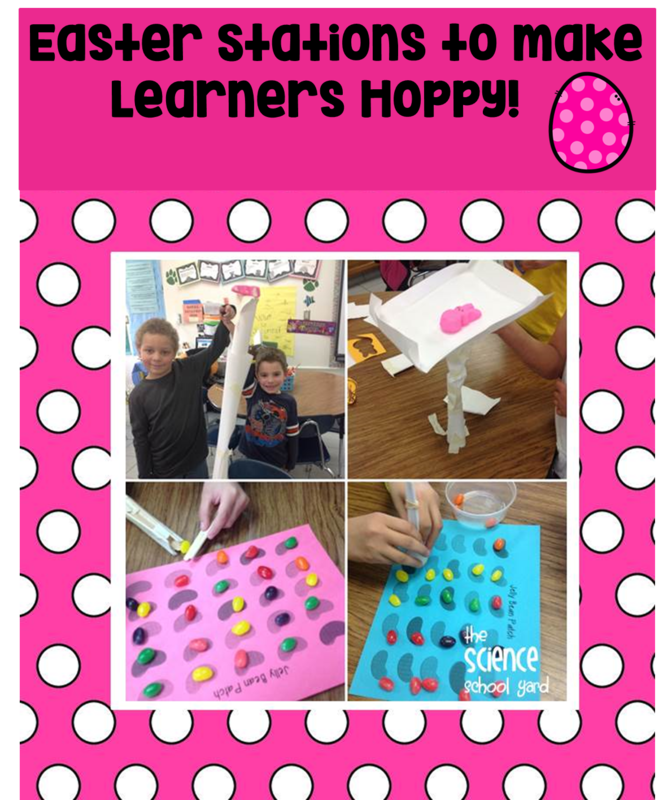 Add some fun Easter Themed Science and STEM! Find both packs HERE! I feel so lucky to be able to teach science all day, everyday! I also feel lucky for my students because I can add STEM into our FOSS Science bins we have to use. So I thought I could share ways to have some special events or holiday fun, but also cover a science concept as your students engineer. This is some projected March themes for my classroom and STEM Club and Science Room! I always try to make sure that we follow our FOSS road map, however there are lots of ways for me to add a little bit of the Science School Yard, too! Using our smartboard to show what we know about oviparous animals! We started our Motion portion of our lessons this week. As I started to create my road map, I noticed that St. Patrick's Day activities might be a perfect way to add some theme based motion ideas! Milk Carton Cars with plastic wheels and straws...and a beanie baby along for a ride! Wind Mazes...some blocks and pompoms! Freebie Alert! Sign Up for my newsletter and get the secret code to get into my free resources library! Find the sign up on the right or in the drop down! 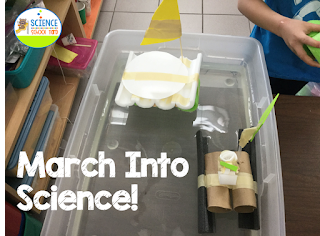 Looking for Science ideas like these for March? 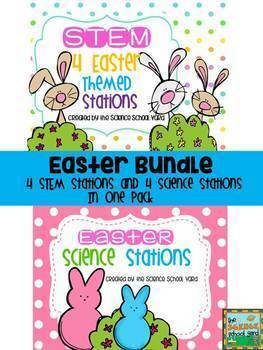 Why not MARCH on over to the Science School Yard Store to find these packs and more! Happy March, Friends! Sure hope it is out like a lamb! It is finally March. I sure hope the snow starts to melt. We have over 30 inches of snow so spring can't come too soon! I am teaching an after school STEM class and one of my favorite times to teach this is right around ST. Patrick's Day where we can win with some hands-on pot-o-gold activities. The first activity that we do is the Somewhere Over The Rainbow catapults! 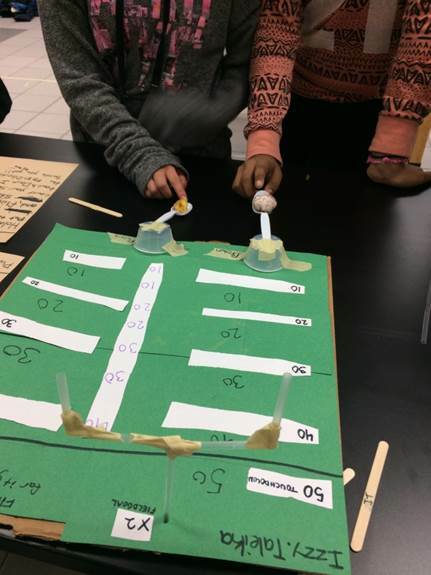 Giving my students the tongue depressors, rubber bands, and Yellow Pompoms along with rainbow patterns that they have to catapult over is a great "croquet" like game that becomes a fun competition. The second activity that we love to do is the Pot-O-Gold Wall Maze. We give them toilet paper tubes, Paper towel tubes, and masking tape along with yellow pompoms and a cup with a pot-o-gold pattern / or pots of gold from the Dollar Store. Pot-O-Gold Fun with Toilet paper tubes! The fun part about this activity is that they get so excited to compete against other teams to see who can get to the pot of gold first. I always throw in they have to use the same amount of tubes as well as so many turns or changes of direction (usually 2-3) depending on the grade level. Up, Up Panda Away with pulleys! 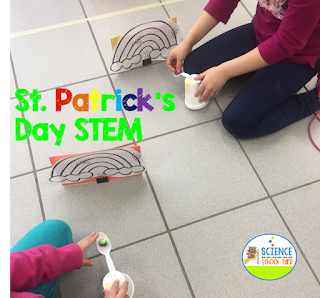 With my older students I like to have them make pulley systems called Up Up Panda Way...our little St. Patrick's Day Panda's love the free ride...while the littles love to make Leprechaun hats to take home! Ready to shake it up! The finale...Shamrock Shakes! We make instruments and then play them along with a fun Irish jig! The kids love to dance along to it as well! Here is one of the jigs we play along to! Irish Jig found HERE! Time for you to create some shenanigans with your students! 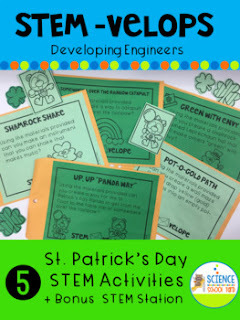 Join the fun by developing STEM students with STEM-velops in envelopes, folders, packs, buckets...FIND the St. Patrick's Day Activities Today HERE! Time For St. Patrick's Day Fun for everyone! Happy March, Friends! I hope you find your pot of gold! You know when you have a little extra time to fill in your day? Okay...that rarely happens, however this week our fifth graders went on an overnight trip to what we call school forest leaving me with only one fifth grade class to teach this week instead of two. So I got to figure out a lesson that was not something I normally teach during our Mixtures and Solutions unit. 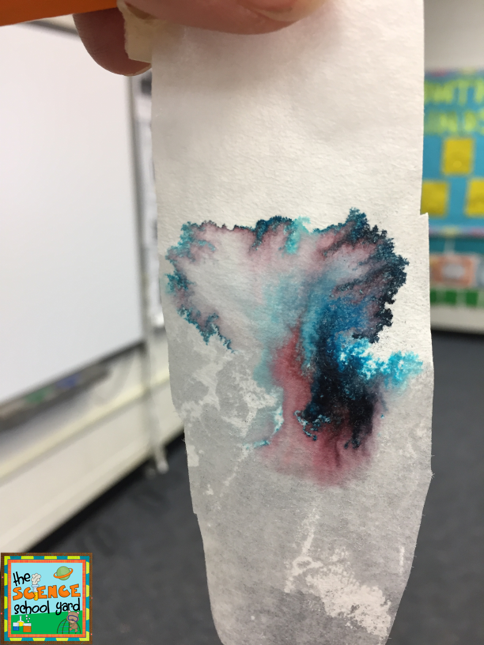 I already taught my students the lesson on chemical reactions, so why not figure out a chromatography lesson to extend the excitement! 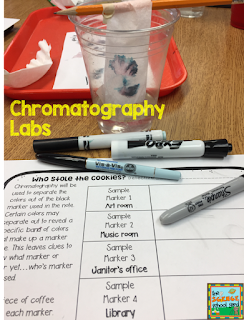 Chromatography is the separation of mixtures into their individual components so this is perfect for a mixtures and solutions unit! Scientists use chromatography in many ways. They use it to test the level of alcohol in the body. They can figure out a crime by testing and analyzing blood and cloth samples. Arson verification is another way chromatography is used by identifying the chemicals responsible for a fire and to rule out foul play. It is even used to determine drugs and poisons in the body in the hospital. To make it age appropriate and to help them learn about real world science through hands on investigations I made Who stole the cookies? This is a way for us to separate different markers, but in a story like way. I picked four co-workers, the janitor, librarian, art teacher, and music teacher who I asked if it would be okay to be a part of my story. With a yes from all...I set up the folders. Time to give out the folders with a note inside that says "Thanks for the cookies!" The students use the evidence to prove who it might have been. 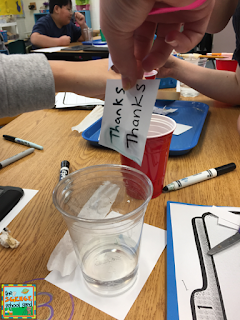 This team cut the note and then wrote the same word to test if it would bleed out in the same way. I wanted to pick four black markers , one for each person. The librarian got the VisaVi that she might use on the overhead, the janitor got the Sharpie because he labels boxes to leave the school, the music teacher got the Expo marker because she puts the notes on the board, and the art teacher got the Crayola markers for art projects. 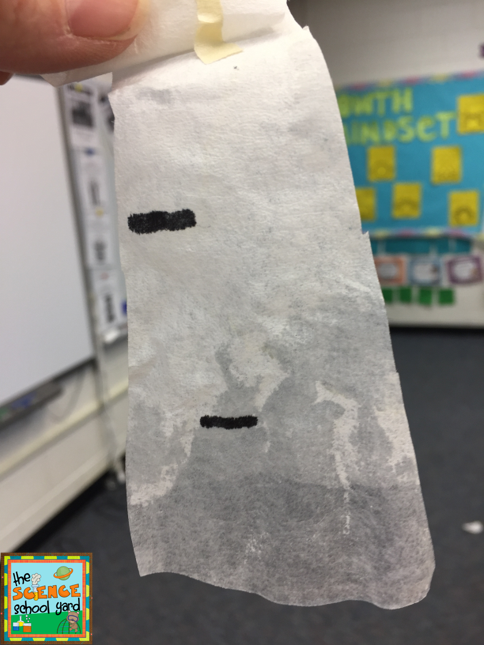 This evidence after testing the note eliminates two suspects because permanent markers do not bleed. Notice the difference in the markers below! Expo and Sharpies don't bleed! 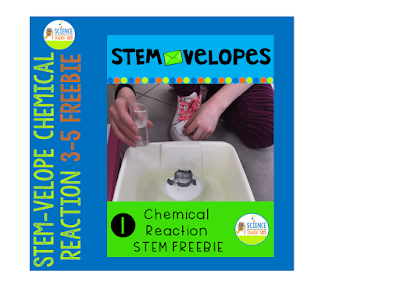 This activity allows me to add another lesson or two to our Mixtures and Solutions unit we do with our FOSS kits! I use the rest of these lessons in an after school class as well as on line to get kids doing things at home! The best part...I added a ton more activities based on color that I will be using right before ST. Patrick's Day..stay tuned for another post! Interested in a fun and quick lesson on Chromatography and Color to get your kids excited about science? 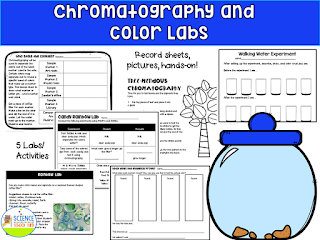 Grab the Chromatography Lab HERE! 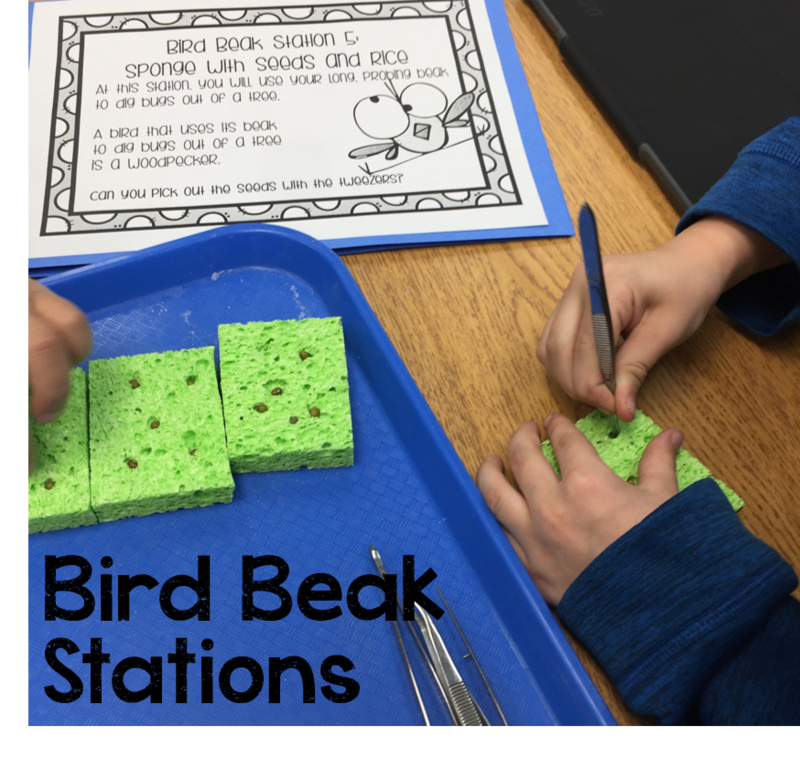 Each year, I pull out my bird beak stations, and each year I love watching my first graders as they learn hands on how birds have different beaks that allow them to survive in the habitat they live in. I love starting off this lesson by asking them to tell me what makes a bird a bird. We create an anchor chart that has a nest of great words including birds ... have 2 legs, have wings, have feathers, lay eggs, have beaks, fly, have two eyes. 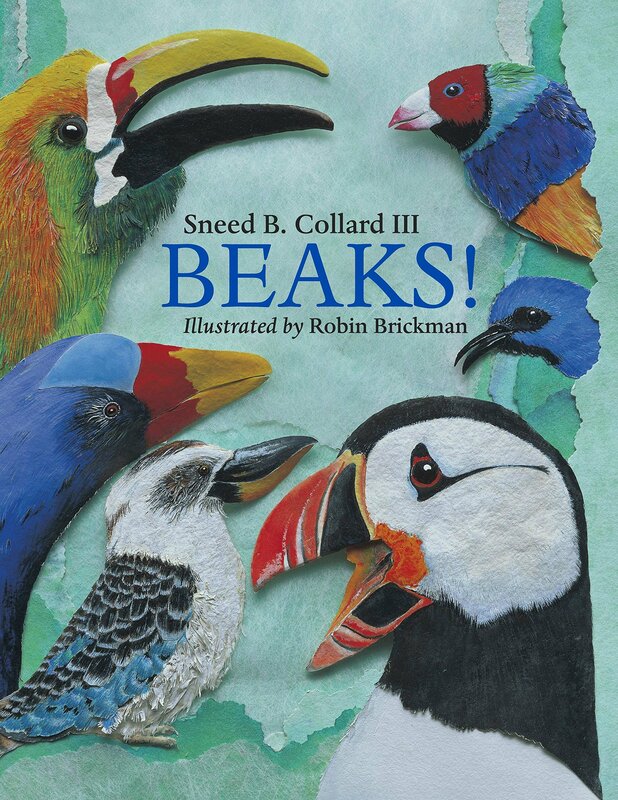 I then share the book Beaks by Robin Brickman. Beaks aren't just for eating...this book is great in showing other ways such as building, finding a mate, and digging to name a few! I then take the first graders around from table to table to show them how they will be using their beaks to eat! I read the sheets to them, give them a check off list, but going in a circle from station to station is easy enough! I was able to get my supplies from the Dollar Store or from my classroom or home. There are seven stations in all! Here are just a few fun stations in action. How fun to dig for worms! Wheat germ and gummy worms! Time to crack open a sunflower seed! Watch the woodpeckers as they dig for bugs! I use Mung beans because I had them, but rice or split peas work perfect, too! Grab the tweezers and a sponge and your all set! My little hummingbirds love the nectar! Droppers, graduated cylinders and a little flower prop and we have a fast flying bird ready to eat! When we are all done with the stations, because I only have an hour with my students, we finish up by having them create a bird that they saw in the book or they simulated in our stations. We add it to our anchor chart. If they get done nearly, I share with them a live eagle cam (yesterday we watched it eat a squirrel for lunch!) and compare it to a live bird cam from Cornell University! Want to teach adaptations in a hands-on engaging way? 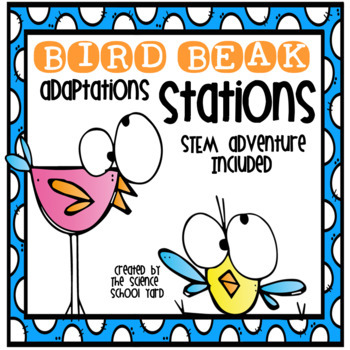 Grab your set of Bird Beak Stations HERE! After setting up all of the stations with supplies...I put them each in a baggie and they are all set for the next year! This weekend is the Superbowl, what a great time to add some "super" fun STEM to your school day! We have had indoor recess all week, and I don't see an end in sight. If your kids are getting cabin fever like mine, STEM activities are perfect additions to indoor recess! 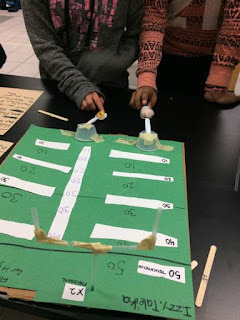 Not too cold where you're at...then adding these STEM challenges in a math or science station to teach measurement, graphing and statistics as well as controlled experiments might be just the thing! 1. Geography: Give your students a map and have them plot different super bowl locations. Find out how far they would have to drive or how much a plane ticket would be to attend the Super Bowl. 2. Math: With the plotting of cities, have students plan a trip. Add the dollar amounts of what it would cost to travel, get lodging, buy a ticket, and purchase food or souvenirs. Younger students might like plotting the winners of the Super Bowl in a graph! 3. Language Arts: Time to design a logo for your favorite team. Write about your reasons for color choices, mascot, and why it is your favorite team! They could even write an advertisement for their favorite treat, beverage, or toy that might be featured in a commercial. They could create it on an iPad or video tape the commercial with a group. 4. History: The history of football is always fun to research. Epic books which is free for educators has some great non-fiction books. There are some great Football Themed fiction books as well, but here are a list of my free favorites! 5. 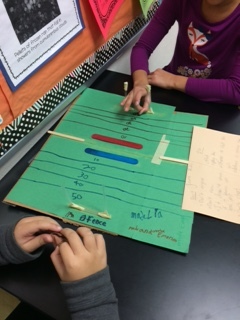 STEM and Science: Catapults are a great way to add some science of how a kicker makes a field goal or how angle affects how high or far a ball will go. My STEM Football challenges have three activities for your students. Creating a football kicker, a goal post, and a stadium help with a perfect little extra to add to your classroom. 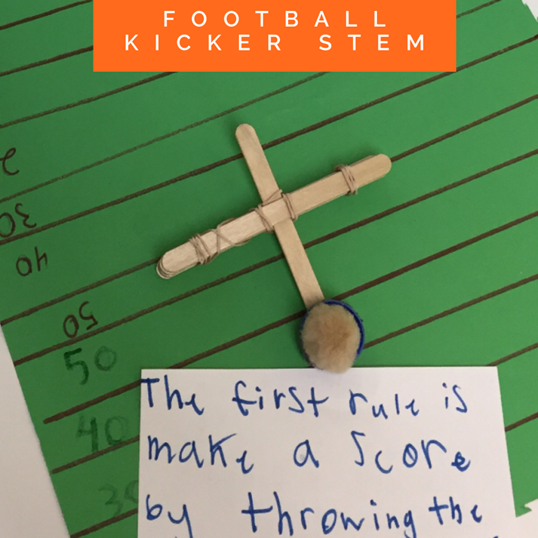 Each challenge includes a teacher-friendly direction and supply page that guides you and your students to know what to do to create each football themed challenge. These activities were designed for my after school classes which range from students from grades 2nd-fifth grade. Perfect for after school, early finishers, indoor recess, homework, centers, family challenges, and gifted and talented resources for example. I love the different ways that students are able to be creative with the supplies I give them! Creativity, Teamwork, and Hands-on Learning are all perfect additions to the benefits of STEM! When they add a how to or directions it is a great way to add a writing activity! 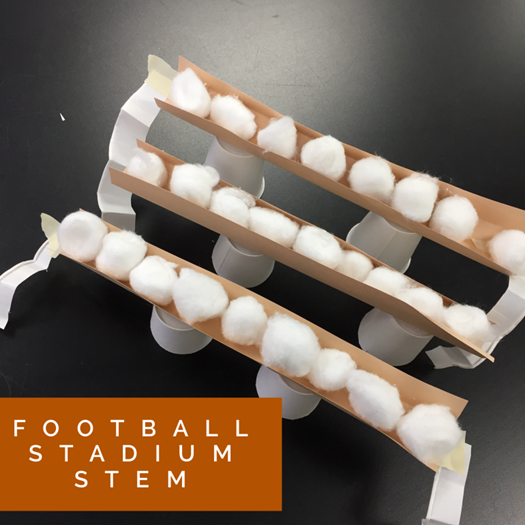 Are you ready for some STEM football? 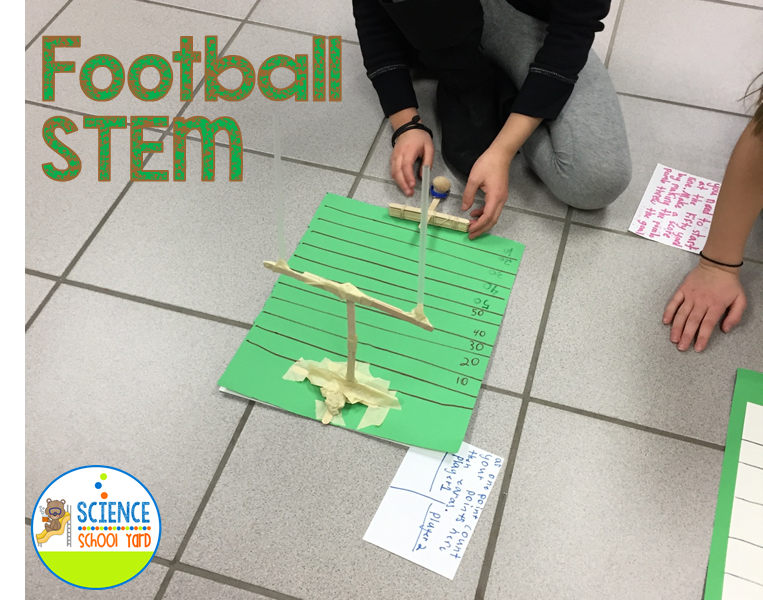 Find the STEM Football Challenge Pack HERE!